Content: This document consists of a set of 5 questions from the editor of i-Marbella answered by Arjan Erkel, one of the founders of the international Dutch based NGO Free a Girl, a leader on the fight against child prostitution. 1. Why did you decide to do this? When or what was the moment that made you help girls in this situation? I believe in making a difference in the world, I believe in helping people and I believe child prostitution is one of the worst crimes that can be committed against a child. I believe this has to stop! After spending 607 days as a prisoner by heavily armed Muslim rebels, I knew I had to do something about the way these girls were living. Those 607 spent in captive is not unique to me, it happens to millions of girls worldwide and I cannot watch that happen. After arriving in the Netherlands and speaking to Evelien, the initiative to launch Free a Girl started. 2. Can you tell us what has been the most shocking moment you have lived while helping girls to find freedom? It is a not easy to pick the most shocking moment I had while helping these girls find freedom. Every story and moment are unique. I have experienced some upsetting moments and have heard unbelievable stories. However, I believe hearing the stories of how these girls arrived to the brothels, especially when being sold by their own parents is quite shocking to me. But I believe in a message of hope. That is why the story of our School for Justice is so appealing to me. This is a unique programme that supports girls that have been rescued from brothels to change the system. It provides education, training, and support to rescued girls to become lawyers. This way the girls can be the driving force themselves in putting the offenders behind bars and ensuring that justice can be served! 3. Until today, how many girls have your foundation helped? and what is their current situation? Until today (August 30th, 2017) Free a Girl has officially rescued 4,130 victims from brothers in Asia, a continent where unfortunately hundreds of young girls are victims of this horrendous crime on a daily basis. Free a Girl is committed to freeing as many girls as possible whilst providing them with health, support, and care. The current situation of the girls we have rescued many – some remain in the shelters where our local team can provide them a safe place with trained professionals, other girls have left the shelters, married and constructed a family of their own. Moreover, some rescued victims have been able to return to their parents and villages while others have joined the School for Justice programme in India which Free a Girl has recently created with the purpose of turning former victims of human trafficking into lawyers. 4. In which country have you found more problems with prostitution of young girls? Prostitution of young girls is a problem which happens in every part of the world, from East to West, in Spain and in India, no country is immune. Free a Girl focuses its resources and work in the countries where we believe our help is needed the most such as in India, Bangladesh, Nepal, Thailand, and Brazil. The national government of these countries is known to be corrupt, laws are often not correctly followed, and impunity is more common than prosecution. As already stated, many countries suffer from this problem, making it hard to pick one country that is affected the most. However, as statistics indicate, there are over 1.2 million children which are victims of human trafficking, in India. I would say India could be the country where the problem of forced prostitution of young girls could be the worst. 5. Did your personal experience make you help other people? Specifically, girls in this situation. Yes, I believe that my personal experience did make me want to further help other people. Especially children who have been forced into prostitution, who are also locked up and guarded by violent criminals who want something in exchange for their lives, just as they did for me. Still, it is hard to compare my situation with theirs. It is not fair to compare both situations. These girls are still children which should be going to school and not being daily abused. But yes, I believe what has happened to me has made me more motivated and understanding of what these innocent children have to go through. Free a Girl is having a charity night on November 1, 2017, at Castillo de Monda. 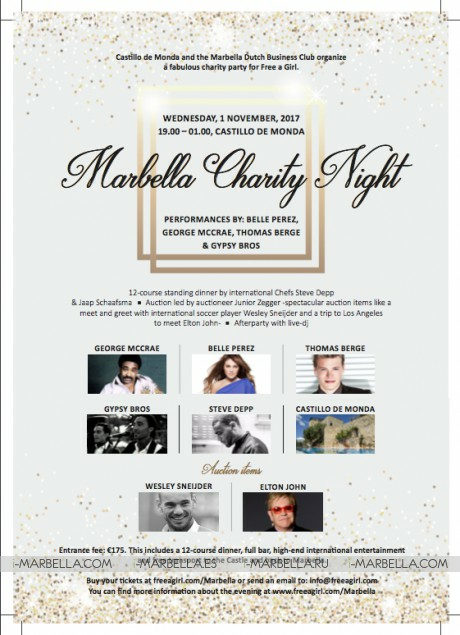 The official poster for Marbella Charity Night, November 1, 2017. Mr. Erkel, a former medical aid worker of renowned nonprofit organization Doctors Without Borders, was kidnapped by rebels in Makhachkala, on August of 2012. After spending 607 days in horrible conditions both physically and mentally. 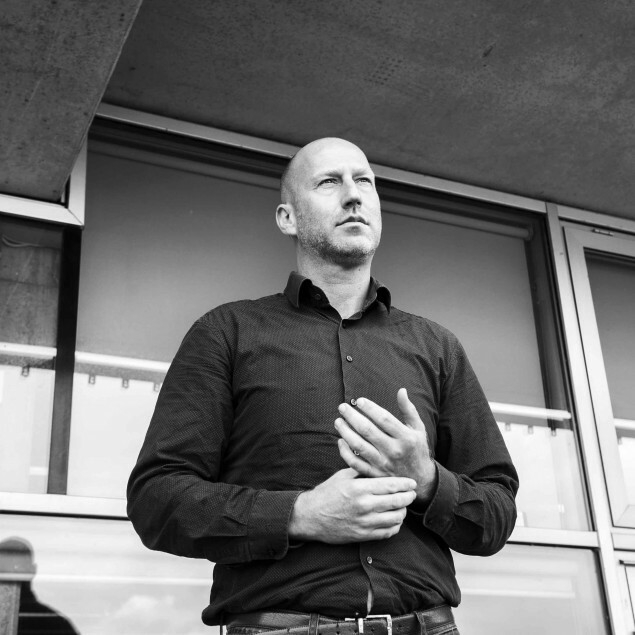 Mr. Erkel, together with other activists such as Evelien Hölsken and Yolanthe Snedijer Cabau, created the relief organization to help rescue and rehabilitate minors who have been victims of one of modern history’s worst crimes – trafficking girls into forced prostitution. According to Mr. Erkel “My own case was receiving a high level of media attention globally. The suffering of these girls deserves the same attention. At a very young age, they end up in brothels and are exploited and raped daily.” Together with the help and assistance of Mr. Erkel’s motivation, education, interests, experience, and passion, Free a Girl has been able to rescue over 4 thousand girls from brothels in Asia and continues to fight for a world where no child is forced into prostitution. Free a Girl is committed to freeing young girls from forced prostitution. In addition, the Foundation invests in care, trauma treatment, medical care, education and vocational education and reintegration of victims. Over the last 8 years, we have contributed to the liberation of more than 3,800 girls from brothels in Asia. We also work with the police and justice to see human traffickers being captured and condemned. To achieve this, Free a Girl offers financial support to local organizations where our added value is greatest. We support 15 partner organizations in India, Nepal, Bangladesh, Thailand, Brazil and the Netherlands.